You have selected Bivona Adult Tts Trach Tube 9mm Int Diam - 98cm Length from Respiratory. We hope that this Bivona Adult Tts Trach Tube 9mm Int Diam - 98cm Length made by Smiths Medical Asd is what you were looking for. If you have any questions about this particular Bivona Adult Tts Trach Tube 9mm Int Diam - 98cm Length or any other products from Respiratory, please call us. We have an experienced staff that will gladly help pick out the correct Bivona Adult Tts Trach Tube 9mm Int Diam - 98cm Length for you, also. 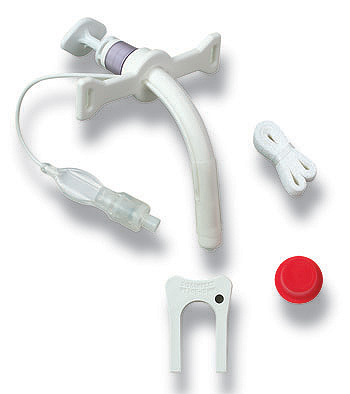 If you are looking to make a purchase of Bivona Adult Tts Trach Tube 9mm Int Diam - 98cm Length in large quantity or you are a Hospital or Medical facility and need help on making a purchase of Bivona Adult Tts Trach Tube 9mm Int Diam - 98cm Length made by Smiths Medical Asd, please contact us.